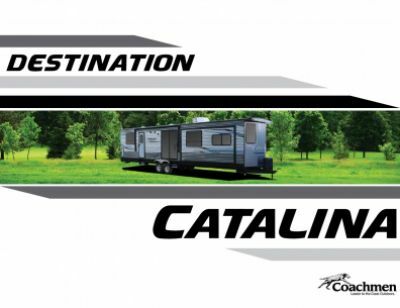 Check off every spot on your bucket list and take more trips with the 2020 Coachmen Catalina Destination 39MKTS! You can find this Park Trailer and other top brand RVs at Gillettes Interstate RV! You can come on down to our dealership at 7210 E Saginaw St East Lansing Michigan 48823, or we can bring this Catalina Destination to you with our 24/7 delivery service across North America! You can give us a call at 517-339-8271 to talk to our RV experts about this model! Enjoy the calm shade of the 15' 0" awning while you lounge outside! You can take this RV around the nation with its manageable hitch weight of 1330 lbs. and GVWR of 11000 lbs. 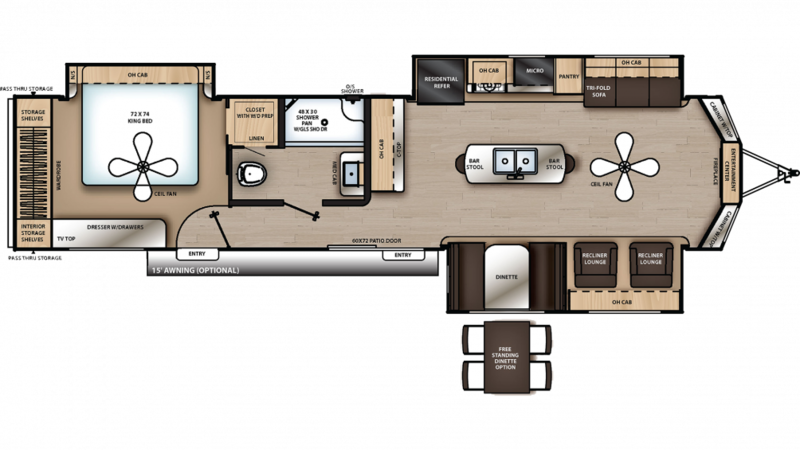 This 40' 9" long, 8' 0" wide RV offers plenty of space for the whole family inside the living area! At 11' 8" high, you won't be constantly bumping your head when you stand up! The 15000 BTU a/c unit and a 35000 BTU furnace help maintain a stable temperature inside! After a long day on the road, you'll love to settle down and cozy into the master bedroom, which features a snug and spacious King bed! Don't worry about your family not finding enough comfy places to sleep, as there are enough sleeping accommodations for up to 4 people!